A classic 2XG style unfinished dowelled double glazed hardwood door with clear glass. The 2XG external dowelled hardwood door with clear glass has been a favourite for many years. With a large top double glazed aperture with a Low-E argon filled clear glass units it allows light to pour into any home making it appear brighter and larger to the eye. The ideal choice for a back door as it allows natural daylight to flow through a property. 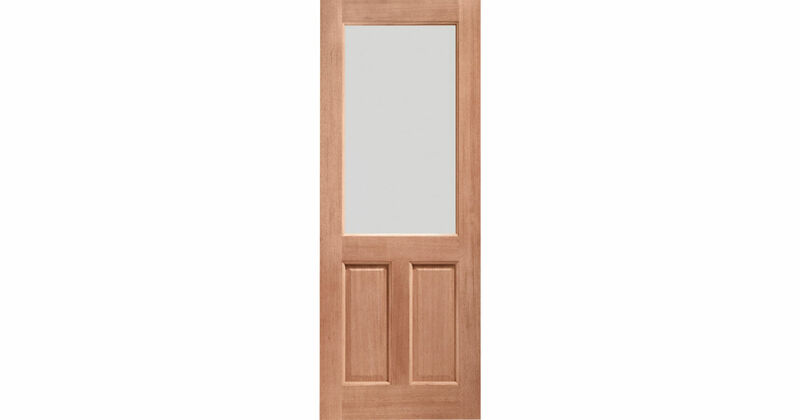 XL Hardwood Glazed Malton Door Codes - XG30-44DG - XG32-44DG - XG33-44DG - must be treated to XL Joinery instructions supplied. - We cannot exchange Hardwood Glazed 2XG Doors after order - XL 2XG Clear Glazed Hardwood External Doors are supplied as a Special Order. We cannot exchange any XL Door once work has commenced; XL Joinery 2XG Clear Glazed Hardwood External Doors are supplied as a Special Order.